There's a lot of talk about another Marvel Cinematic Universe movie that getting released next week, which has somewhat overshadowed Ant-Man and the Wasp for the time being. However, that's all about to change as the July release date fast approaches. 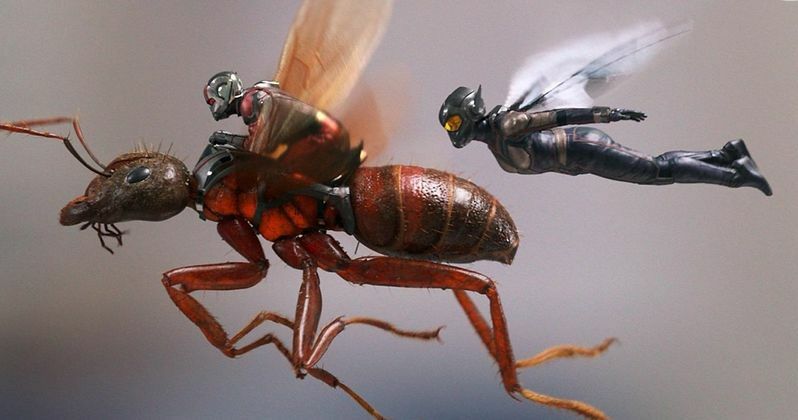 In a new interview, Evangeline Lilly reveals that much of the movie will focus on the search for Michelle Pfeiffer's Janet van Dyne character, the original Wasp and mother of Hope as well as wife to Hank Pym. In the first Ant-Man movie, it was believed that Janet van Dyne was dead after entering the Quantum Realm. But questions arose when Paul Rudd's Scott Lang went into the Quantum Realm and survived after going subatomic. Now, Evangeline Lilly says that Ant-Man and the Wasp will further explore the Quantum Realm in an effort to find Janet. She had this to say. "Scott entered the Quantum Realm in the first film and came back, which is something they thought was impossible. The question has arisen, Can Janet come back? So, the entire film, my character is hell-bent on finding a way to get into the Quantum Realm and bring her back." Ant-Man and the Wasp director Peyton Reed spoke about Michelle Pfeiffer's return to the comic book movie universe and noted that the actress had not been in this type of movie since 1992's Batman Returns. Pfeiffer famously played Catwoman in the sequel to Tim Burton's Batman alongside Michael Keaton and Danny DeVito. Reed also states that it was fun to bring Michelle Pfeiffer up to speed in terms of the MCU. He says. "She hasn't done one of these films since she played Catwoman with Tim Burton. It was really interesting to bring her in and get her up to speed on all the mythology and her place in this world." The antagonist of Ant-Man and the Wasp is Ghost, who is portrayed by Hannah John-Kamen. The character is male in the comics, but Peyton Reed revealed that it just seemed more interesting to cast a female in the villain role this time around. Reed went on to comment on Ghost's powers and how they end up being a pretty hard thing for Hope and Scott to manage. Reed explains. "The Ghost character could be male, female, anything, so it just seemed more interesting to us (to cast a woman). Ghost's primary power is the ability to phase, which allows Ghost to move through solid matter. She has all sorts of strange versions of that phasing power - it proves quite difficult for Ant-Man and Wasp to deal with." Ant-Man and the Wasp will hit theaters on July 6th, which is only a few months after the release of Infinity War. The project recently filmed some reshoots in Los Angeles, utilizing the same crew as Captain Marvel to reportedly redo the entire opening scene. The original opening scene apparently didn't sit well with audiences who were lucky enough to see test screenings of the movie. You can read the rest of the interview with Evangeline Lilly and director Peyton Reed over at Entertainment Weekly and see some new images from Ant-Man and the Wasp below.